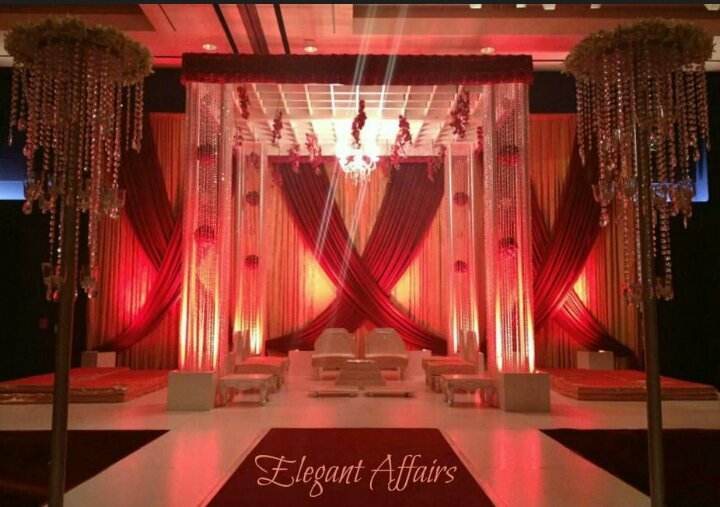 The Mandap of your dreams ! 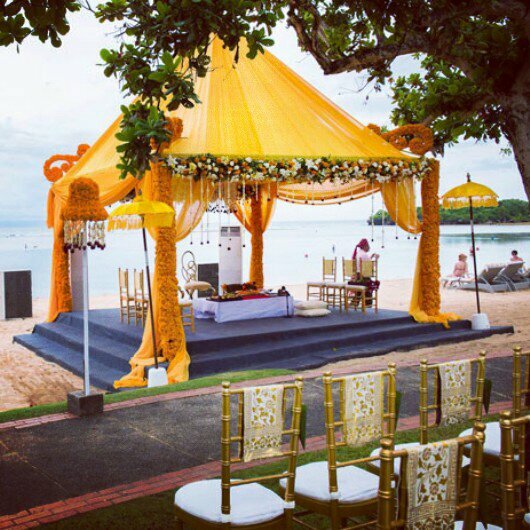 The mandap or wedding canopy is the focal point of every Indian wedding ceremony.The four-pillared structure is said to represent the four Vedas as well as the four goals of a fulfilled Hindu life (Dharma, Artha, Kama, Moksha). 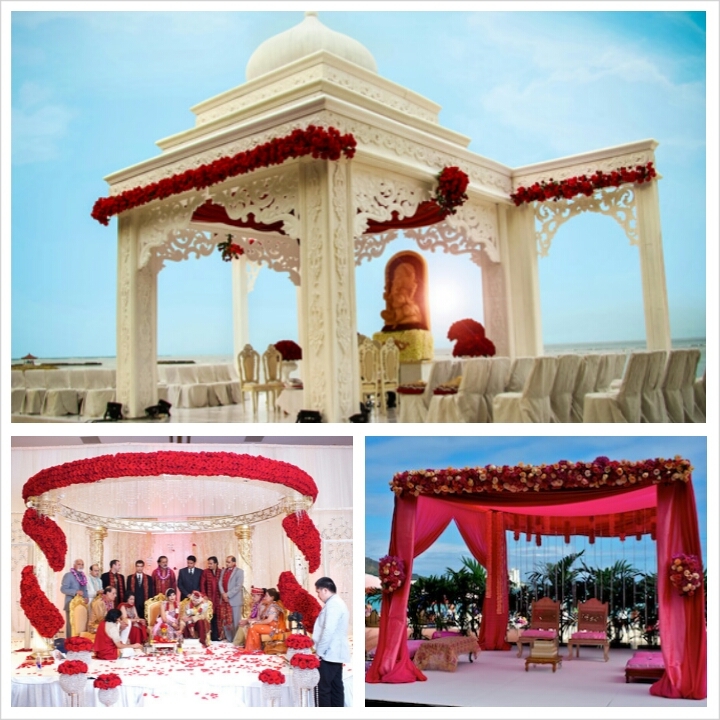 The symbolism of the mandap goes further with each pillar being understood to represent the four parents of the couple, without whose support, love and blessings, the marriage would not have come to take place. Such is the sanctity of the mandap that a special ritual is held the day before the wedding to bless the inauguration of the mandap. How interesting right now how many of us knew this? The last few years have witnessed several changes in the design and style of mandaps. 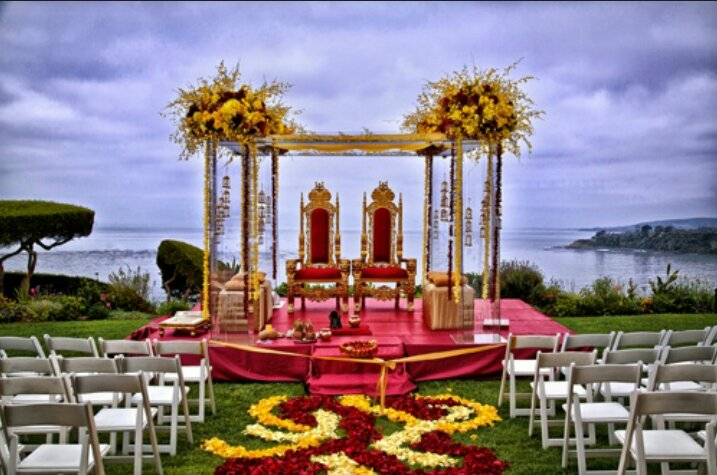 Gone are the days when the mandap was an “off the shelf element” of the wedding décor. Today, the sacred wedding canopy is a fashion statement in itself – a reflection of the couple’s taste and discerning style and should thus come up high on the list of priorities when planning your big day. The structure and style of mandaps has evolved from traditional designs that typically included sankheda (traditional coloured paintwork), bandhani (tie and dye) fabrics and mirror work, to more sleek, contemporary and chic designs. 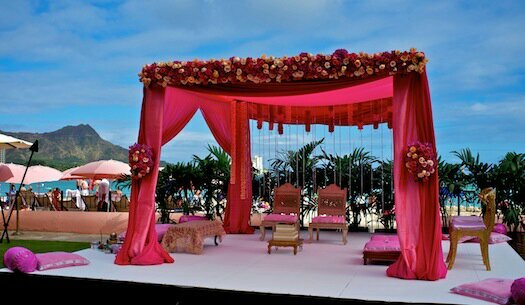 With beach weddings being the new trend from us NRI’s people have started to opt for chic floral mandaps as opposed to the traditional set up. 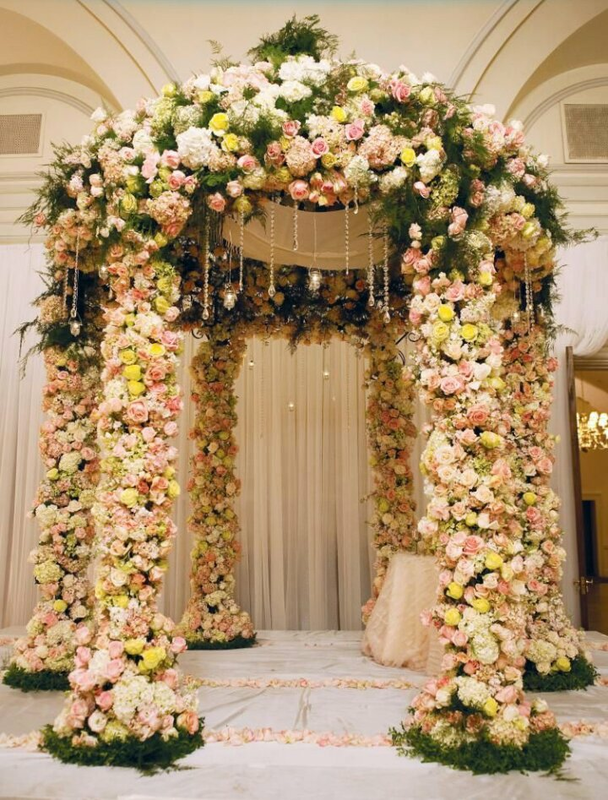 Look at the below mandaps aren’t they just gorgeus while I’m myself perplexed as to which mandap would be apt for my own wedding ( which is still ages away aah we bridezilla’s). 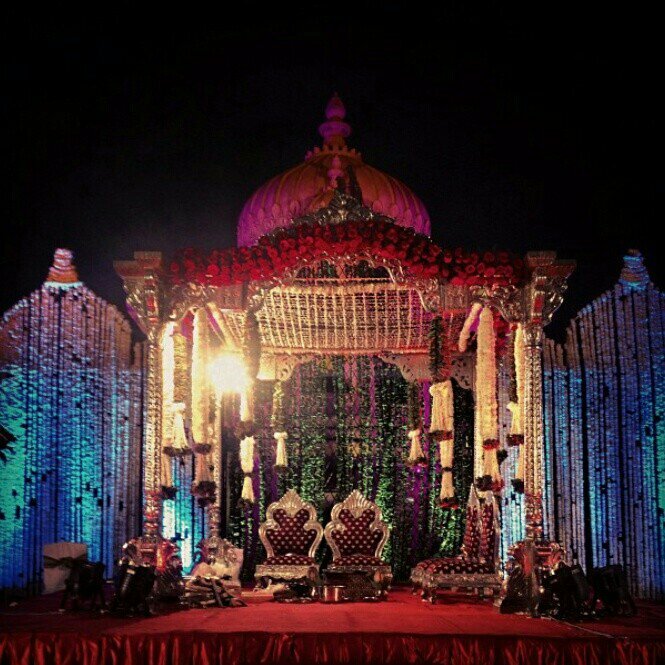 you should have a fair idea of how much of your wedding budget you will be allocating to the mandap and wedding décor and what style of mandap compliments your personality and style before you begin your search. 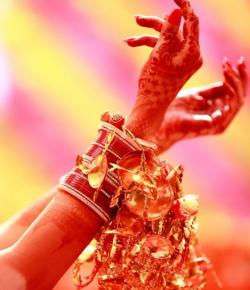 Armed with this information, a visit to the websites of mandap suppliers will enable you to browse the latest offerings and shortlist the designs that appeal to you the most. From chic and slender to grandiose and majestic, a mandap is guaranteed to be found that has every couple’s name written all over it. If you do your homework well, you will really start to tell the difference between companies that purchase their mandaps off the shelf and those that have a key input into creating the latest bespoke designs. 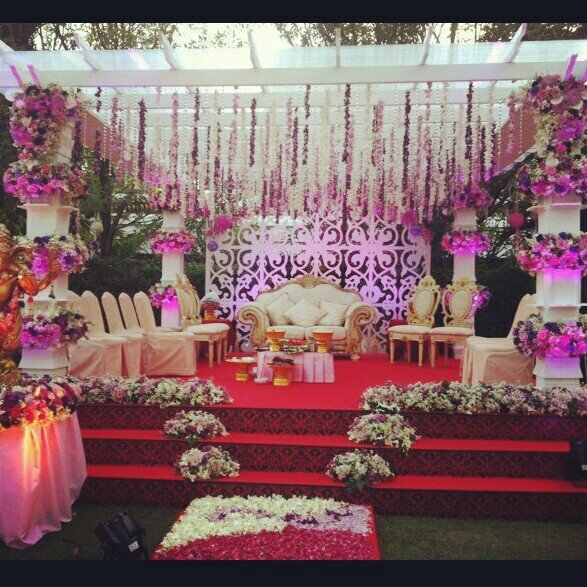 Perhaps the best thing about contemporary mandap styles is their adaptability and scope for customisation. One no longer needs to think along conventional lines. A mandap that expresses your individuality is just a thought away and mandap companies will do all they can to customize their creations to your individual requirements and wedding theme. 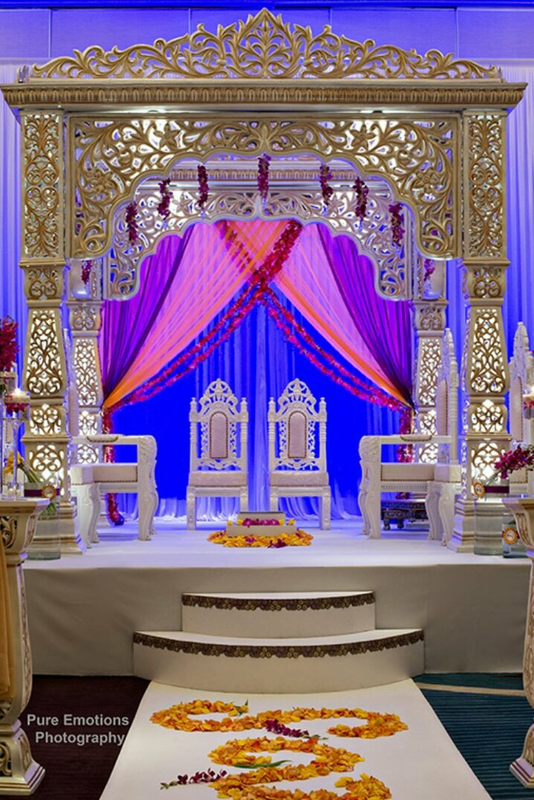 Each year sees the emergence of stunning and innovative mandap designs on the market with coordinated accessories, backdrops, statues, candles, lighting, water features and foyer displays, all used to complement the mandap and build an all-encompassing theme. Most mandap decorators will now go out of their way to source accessories that match their clients chosen wedding theme and which coordinate together to transform a mundane venue into a setting of ethereal fantasy. The chances are that there will be quite a few companies whose mandaps appeal to you, so the real differentials will be their efficiency, level of service and of course the price. The companies that come across as the most flexible and willing to go the extra mile to explain things to you, help plan your wedding day, put attention to detail, elicit your ideas, offer you fresh and innovative design concepts and get to know you as a couple are the ones who will put a smile on your face on the big day. 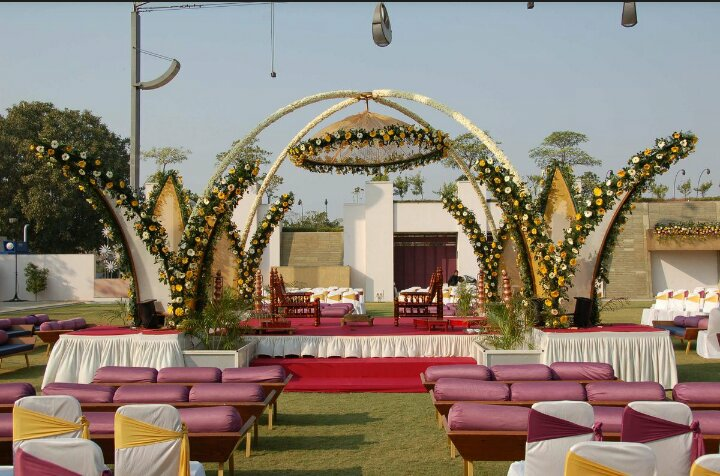 A complete mandap package should include the mandap of your choice, havan kund (container for the fire), lighting, mandap carpet and aisle carpet, mandap entrance, valance (if you are having the mandap set up on a stage), mandap backdrops, chairs, kanyadan asania, four choris, bajots and patlas. You may also like to discuss charges for foyer displays, aisleway displays, head table décor, garlands, bridal flowers, button holes, table flowers, table decorations, linen and cutlery hire, food huts and décor for your other wedding functions, including mehndi, sangeet and wedding reception. The longer your wish list, the higher will be the cost, but you should be able to request a discount if decor is being provided for more than one function. Your married life starts underneath the sanctified roof of the mandap. That’s reason enough to choose one that is stunningly beautiful and speaks volumes about your taste and style as a couple. 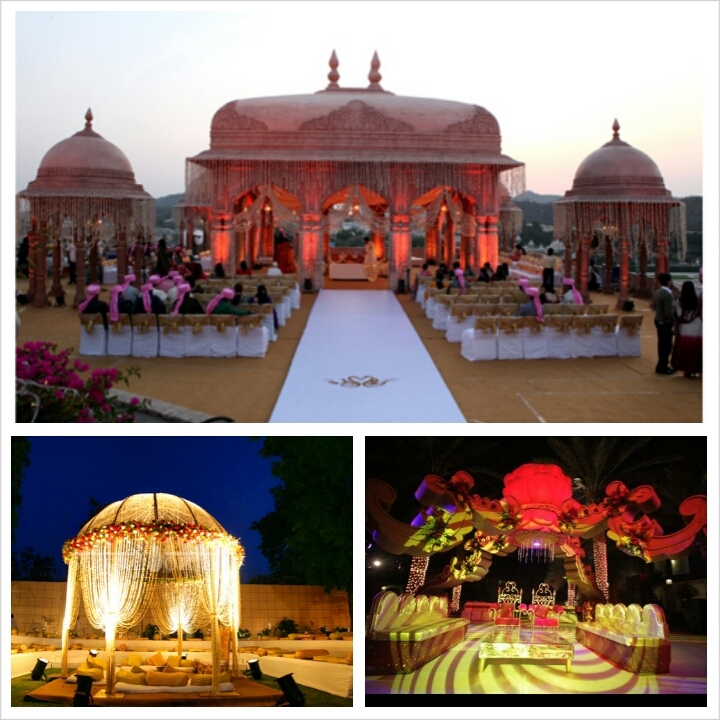 Creativity combined with practicality will ensure that you take your wedding vows under the mandap of your dreams.